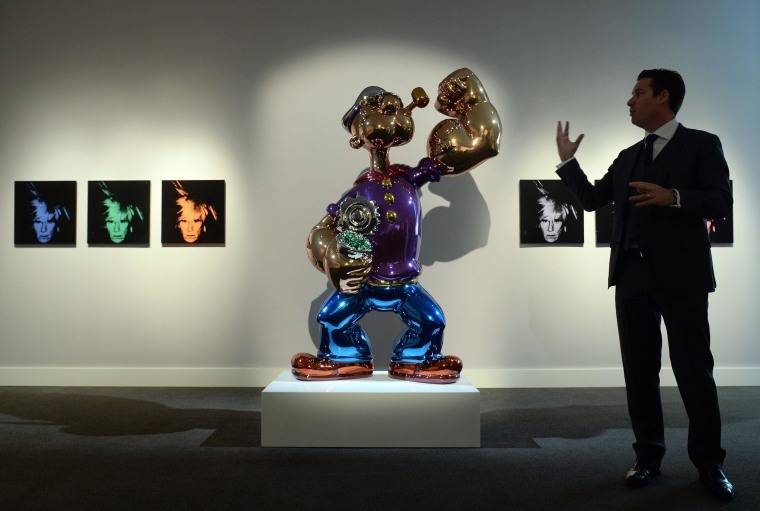 Steve Wynn was strong to the finish and laid out the spinach, snapping a Jeff Koons sculpture of Popeye for $28 million. The billionaire casino tycoon and art collector won the spirited bidding Wednesday night at Sotheby's Contemporary Art Evening Auction. The piece was one of three made by Koons, a master of oversized, shiny sculptures of balloon dogs, toy trains and tulips. Reasonable people might ask why anyone would pay $28 million for a 2,000-pound Popeye.